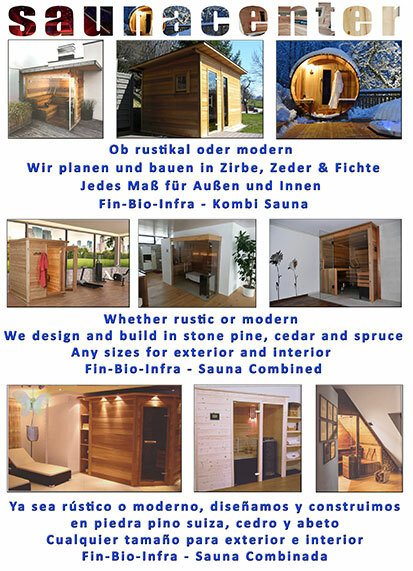 Sauna Barrel "Full Panoramic View"
We support you in planning, to find the best line-up place, to make the structure and the installation as simple as possible. We take care of the best and most beautiful solution for you. 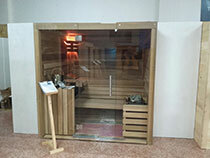 externally heated (no smoke inside the sauna). Welcome in the world of complete relaxation and recreation! 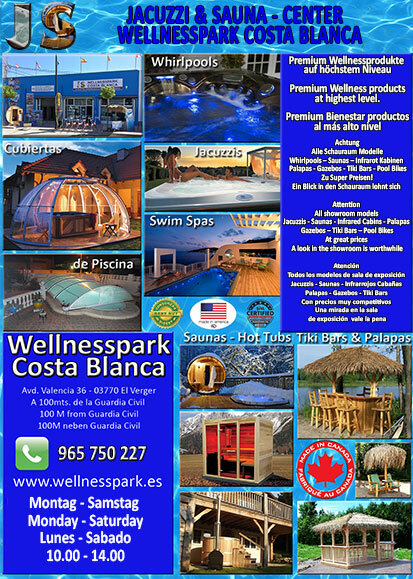 The Jacuzzi & Sauna Center Wellnesspark Costa Blanca with handshake quality in 03770 El Vergel, located on the Costa Blanca in Spain, is your competent dealer for premium wellness products such as org. 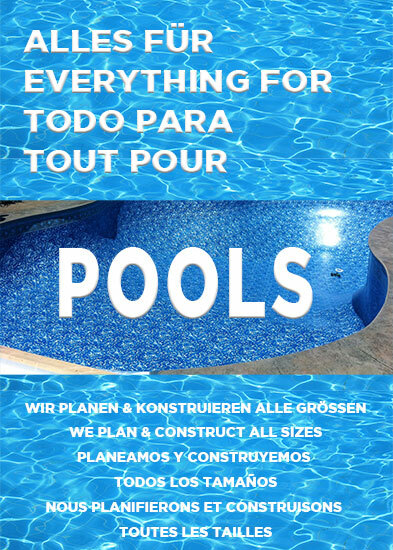 Jacuzzis®, whirpools, spas, swim spas, swimming pools, pool covers, pool bikes, infrared cabins, saunas and saunas of all types, barrel saunas, hot tubs and accessories. We have set ourselves the goal, to offer only premium wellness products from world's top manufacturers at an excellent and fair price-performance ratio. At our wellness products so you may always set the highest standards. 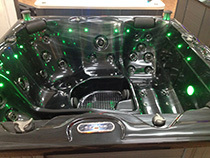 High quality hot tubs, spas, aqua fitness pool and swim spas by MASTER SPAS from the USA. 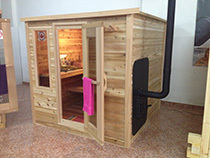 Timber infrared cabins, saunas and saunas combined to measure of all kinds from Deisl Austria. Cedar infrared cabins, barrel saunas and hot-tubs of DUNDALK Leisure Craft of Canada. AquaFinesse® - Environmentally friendly, safe for your health and gentle to the skin. Our service includes supplying, installing, instructions for water treatment, biological water treatment products and after sales support. Only a personal and comprehensive product advice ensure that you find the optimum wellness products for yourself and your family, and also long satisfied after the sale. Convince yourself personally of the multiple inspected premium quality, high-end technology and the unique features of our wellness products. 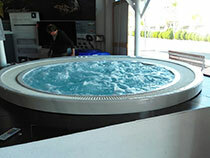 Several whirlpools and swim spas are always available to test. Simply arrange a no-obligation trial date and feel for yourself what it feels like absolute relaxation! A competent professional advice takes time. We reserve this happily for you! You are not sure which spa product is right one for you and your family? The Austrian quality business on the Costa Blanca, years of experience in the wellness industry allow us to advise YOU extensive, honestly and very special totally free.